Shaver 4500, protective cap, power cord, and cleaning brush. 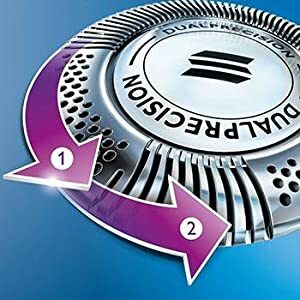 Philips Norelco 45-Day Money-Back Guarantee (Conditions apply). 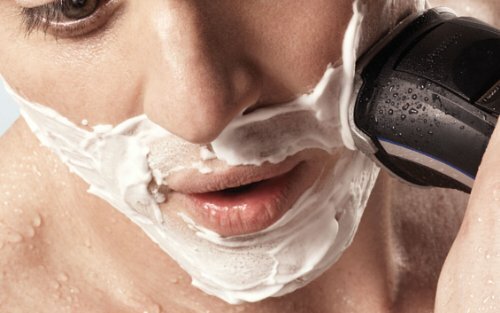 The Philips Norelco Shaver 4500 lets you shave any way you want. The AquaTec seal gives you the option of either a comfortable dry shave or a refreshing wet shave with or without shaving cream or gel. 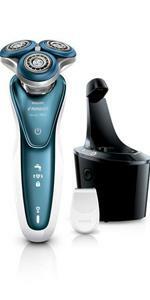 Pivot, Flex and Float System keeps the heads in close contact with the skin for a fast and efficient shave. 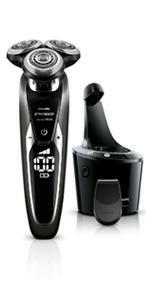 DualPrecision shaving system shaves long hairs and short stubble. AquaTec seal for a convenient dry shave or a refreshing wet shave with or without shaving gel or foam. 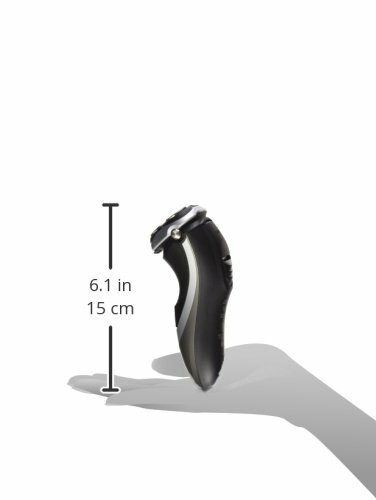 Patented Super Lift andn Cut Dual-blade action lifts hair to cut comfortably below ski level. Pop-up trimmer for sideburns, mustache, and more. 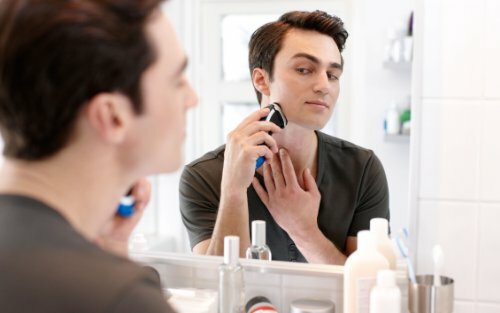 3-Minute quick-charge for 1 cordless shave. 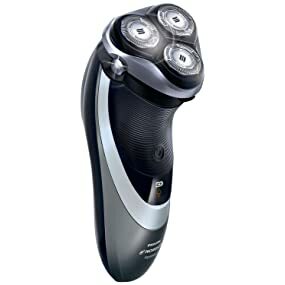 Fully charges in eight hours for up to 50 minutes of shaving time. The Pivot, Flex & Float heads follow every contour of your face to remain in close contact with the skin for a fast shave that's also gentle on the skin. 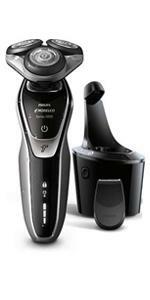 For precise results, a DualPrecision shaving system effectively shaves both longer hairs and short stubble. These low-friction heads are also rounded to further protect the skin. To cut comfortably below skin level, a patented Super Lift and Cut dual-blade action lifts hairs. 50 min. / 1 hr. 45 min. / 1 hr. 45 min. / 1 hr. 50 min. / 1 hr. 50 min. / 1 hr. 50 min. / 1 hr. 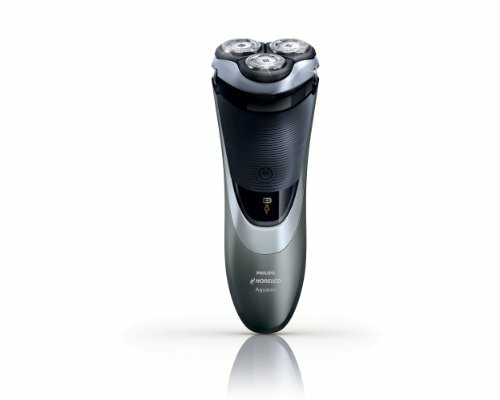 Philips Norelco Shaver 4500 (Model # AT830/41) provides a powerful wet or dry shave while protecting your skin - especially on hard-to-reach areas like the neck. DualPrecision shaving heads tackle the longer hairs and the shortest stubble. The Pivot, Flex and Float System, the heads adjust to the face's every contour to quickly catch every hair, even on the neck and jawline. 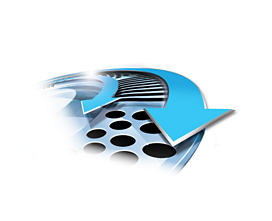 The Skin Protection System limits skin irritation. 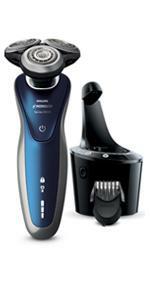 The integrated pop-up trimmer conveniently trims sideburns and moustaches. 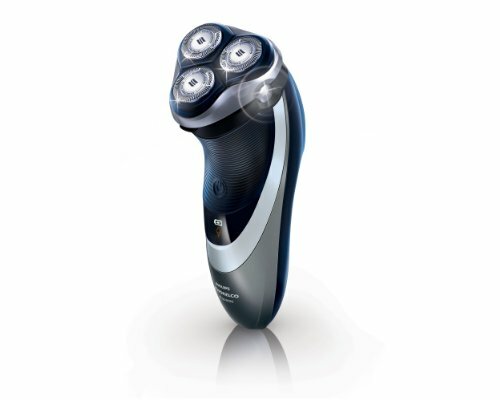 The Lithium-ion regchargeable battery delivers 50 minutes of cordless shaving after a 1 hour charge. 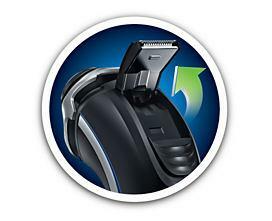 A 3 minute quick-charge provides enough power for one cordless shave. Simply rinse device under faucet for easy cleaning. 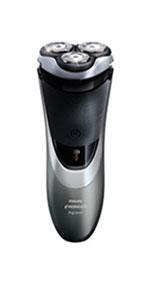 Shaver 4500 comes with a 45 day risk-free trial and a full 2-year warranty. 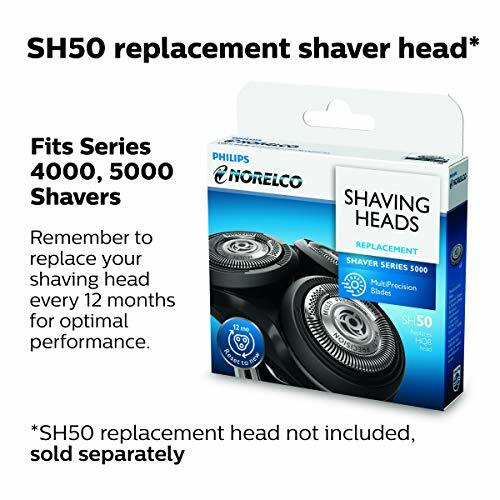 For best results, replace shaving heads with HQ8 replacement heads every 12 months. Packaging includes: Electric shaver, protection cap, power cord, cleaning brush. To enjoy the closest and most comfortable shave from your new Philips Norelco Men’s Razor, the razor should be used exclusively for 3 weeks. 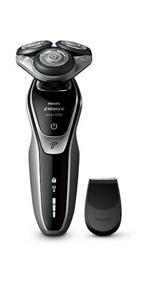 This allows your hair and skin enough time to adapt to the Philips Norelco Shaving System.